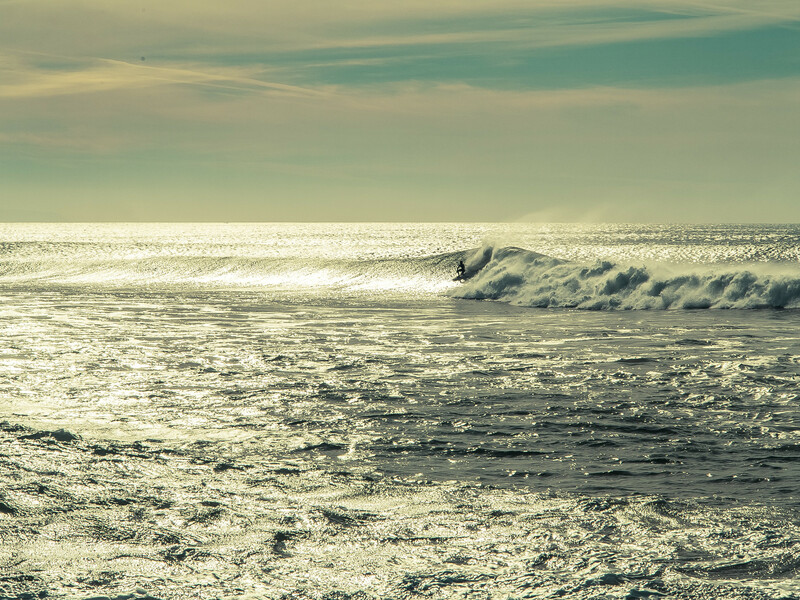 If you are looking for a surf experience, then you have found the right place in Lisbon to find it. 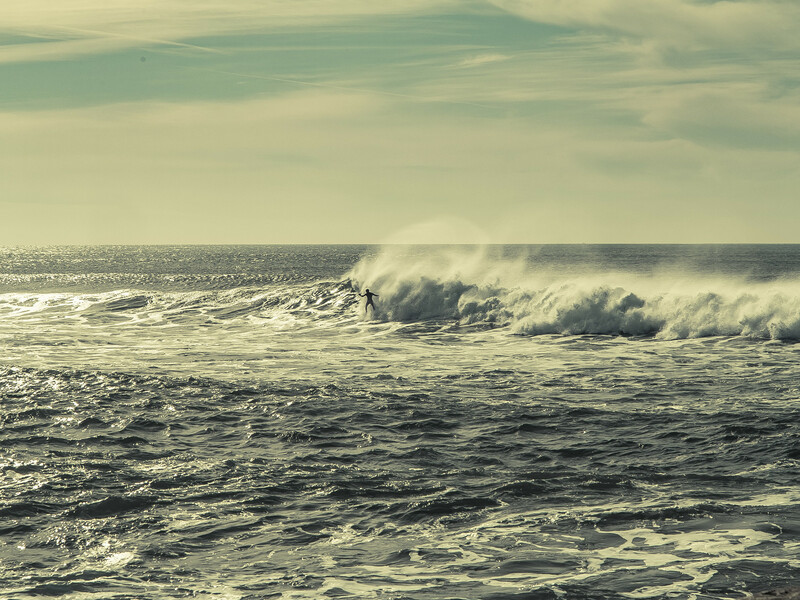 Lisbon has many beaches that offer good waves for beginners, and lots of affordable surfing schools for you to try the sport. 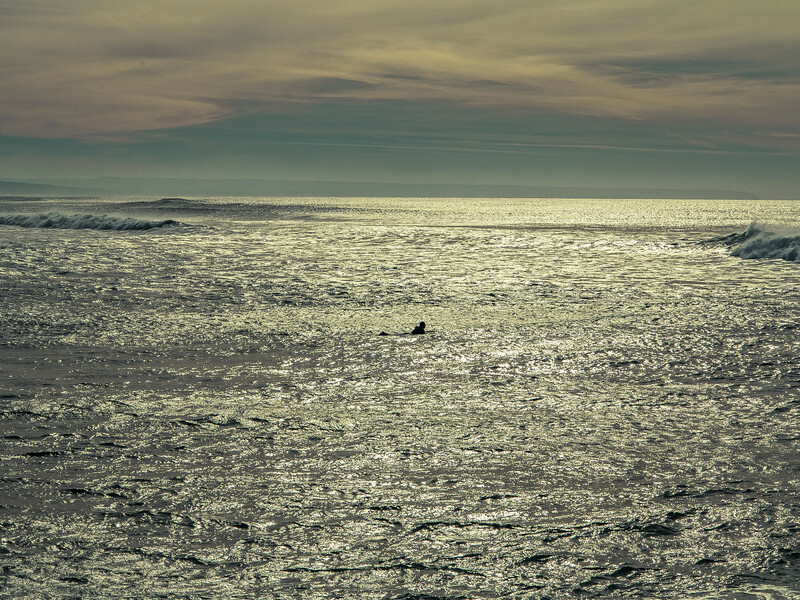 Surfing is part of Lisbon's culture. The beaches that make up our coast offer perfect conditions to catch waves and surf on. The good weather also helps, but even in the winter conditions are good for practicing the sport. That is what I did yesterday, on the 10th of December! 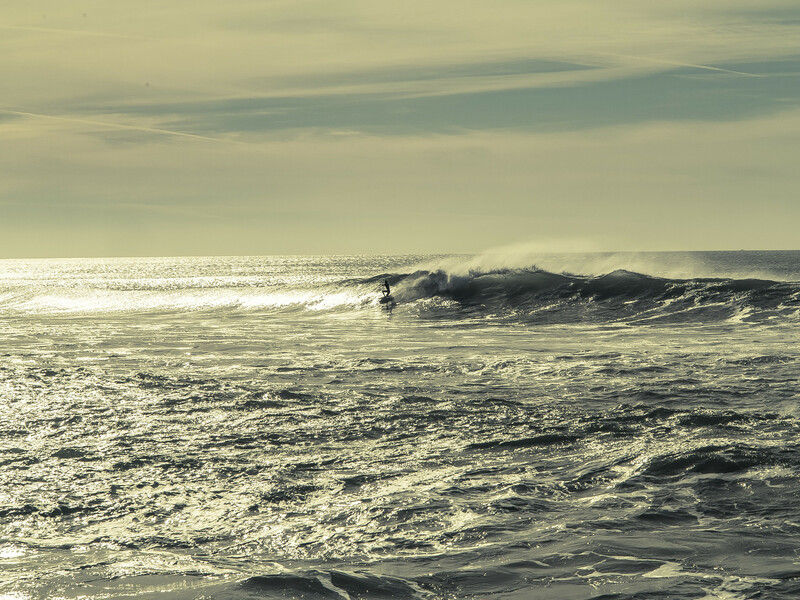 I accompanied a friend of mine to the beach who was going to surf and used the opportunity to take some pictures (you can check them out later in the article). The weather was sunny and windy, but ok to use a t-shirt. Lisbon has these days all over winter and autumn, days that are hot and sunny, and they are very usual, so expect good conditions to go to the beach in the cold months. 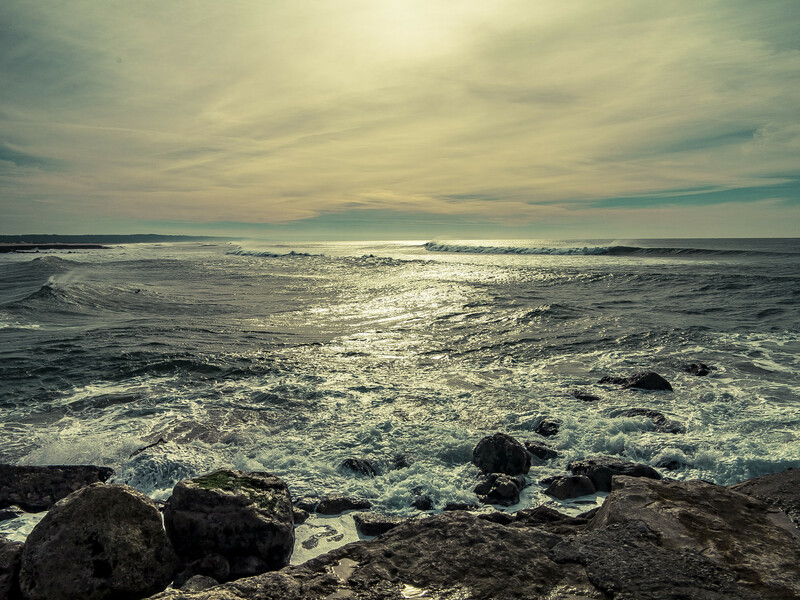 The nearest beaches to Lisbon are the ones situated in Costa da Caparica (Caparica Coast) and in Linha de Cascais (Lisbon-Cascais train line). The first ones are located on the other side of the river, but not on its shore! You have to cross the river to the other side and head to the sea shore, and then you will find amazing long sandy beaches, which are usually not full. To get here you have to cross the river, either by bus, car, motorcycle or ferry. I never rode the train to the other side, but I have used the ferry and it is a very affordable means of transport. You also get the chance to actually navigate in the Tagus river and watch an amazing view and its price is only €1, 25! The thing is that this ferry will only take you as far as Cacilhas, which is still very far from the beaches of Costa da Caparica. Fortunately you have TST (Transportes Sul do Tejo, which means "South of Tagus Transports") which can take you to the beach if you catch bus 124. You can check their schedule here, and the price for the bus is €1, 45. Another alternative is using the direct bus that goes from Lisbon to Costa da Caparica. You can get in it in the Areeiro, João XXI, Viaduto, Campolide and Alcântara stops. You can check its schedule here. In the summer months it is usually full, but this will not happen in the cold months. The beaches in Linha de Cascais are situated along Lisbon's sea coast, and along the Cais do Sodré - Cascais train line, hence the name. Here the beaches are much smaller, and, in the summer months, very crowded. You have to go all the way to Guincho, which is one of the furthest beaches that you can go in this coast, to find a beach that is long, but still can be very crowded. Yet, these beaches are nearer, and therefore easier to get to and get back from. To get to beaches such as Carcavelos, Estoril, or Avencas you just have to catch the train, which costs from €1, 30 to €2, 20, plus a VIVA card that you need to use public transportation in Lisbon, which costs 0, 50€. You can check the trains schedule here. Either locations offer lots of surf schools for you to try the sport. 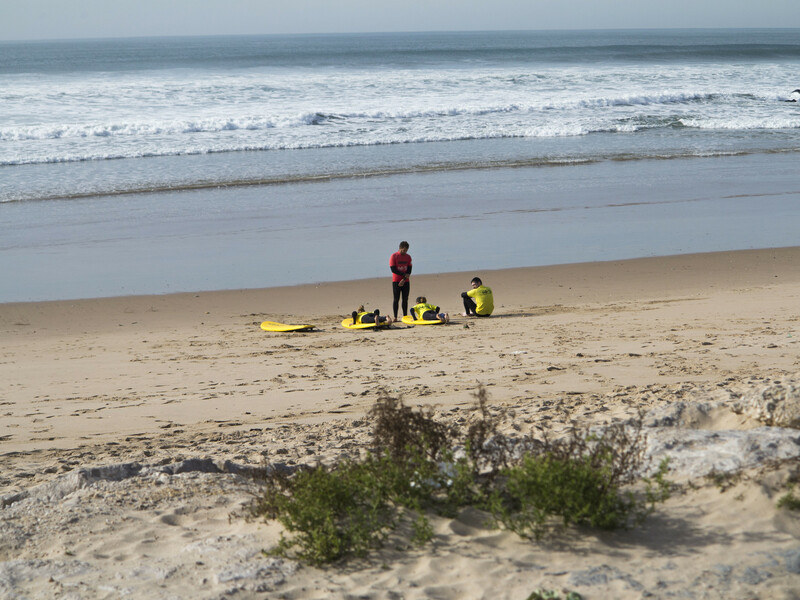 For example, if you go to Costa da Caparica you can try Caparica Evolution SurfSchool. One class costs 15€, and includes a Surf suit, a surf board, insurance, a professor, lycra for you to be warm in the sea and one and a half hours of fun. You can transport yourself to the beach with the school if there is a group of four to six people going with you. If you do not want to have classes because you already know how to surf then you can rent some material (surf board/ bodyboard + surf suit) for €15 for half a day. Check out their website here. Yet, there are many schools along the coast so do not hesitate to search for yourself and find a school that suits your needs better! If you go to one of the Linha de Cascais beaches, such as Carcavelos, then you can try Angels surf school. This one has special classes for Erasmus students. There is a maximum of three students per instructor and all speak fluent english. 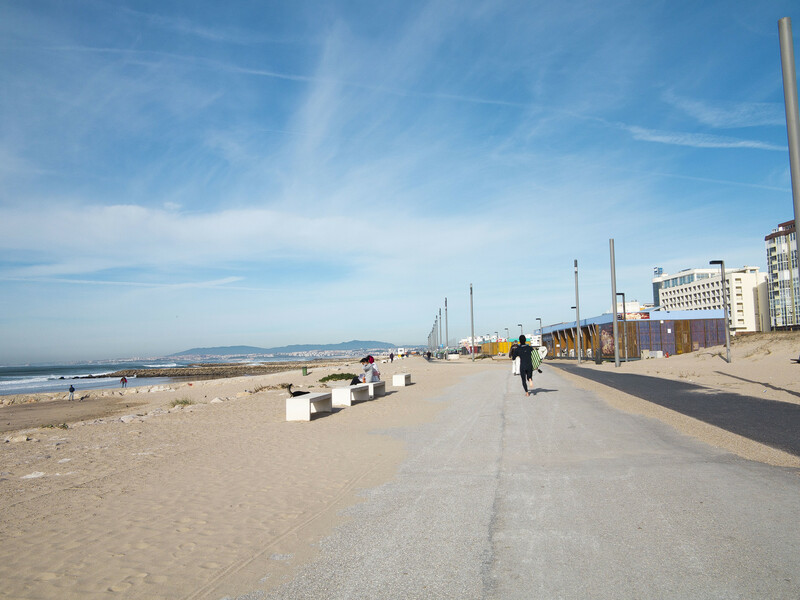 Conditions are the same as in the Costa da Caparica school, with equipment being offered, but here you have a 10% discount because you are Erasmus. You have to contact them to ask about prices, and you can check their website here. On the other hand, you can also just go to the beach and relax a bit, as I did. 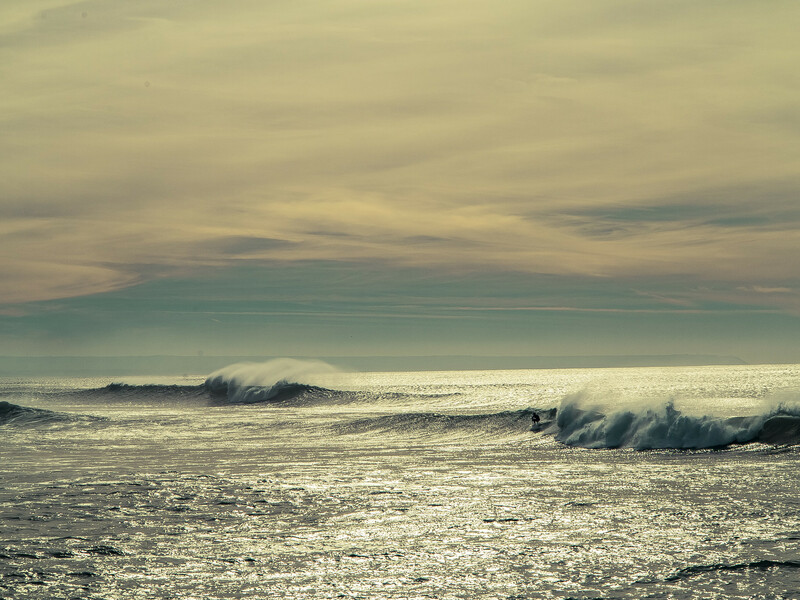 In the winter months waves can get big and violent so it is cool to go to a pier and enjoy the views. It can get really windy so bring a coat! Check out my full article on Lisbon for more places and experiences in the city!